OK Great. Does anyone have a link to a page where the terms of GFDL/CC are defined? 3) It is licensed for all potential uses, including commercial use, with no other stipulation than attribution (i.e. Amok's images and those by other artists, such as card game art, roleplaying game art, etc., does not fall under this). What we have so far in the wiki are covers (fair use claim) and simple arms for some of the families (licensed under the GFDL by its creator(s)). We may shift to allowing Creative Commons non-commercial licensing, as the French wiki has done something like this, which would allow more images to be used provided that the creators specifically licensed their work under thos terms. But right now, we haven't, so the above rules apply. I like the idea of a subforum dedicated to the wiki. Any chance you could make that happen? Not only will it give everyone working on the project a place to exchange ideas about content, formatting, etc. but it can also raise awareness of the project. I mean, look at the renewed interest from this thread alone. It also would be a good place for those who aren't proficient at wiki editing to get their questions answered or to make requests if they are unable to make the edits themselves. Since one's forum login is already tied into the wiki, it seems like adding a wiki subforum would be another facet of that synergy. What do you think? So you guys are aware, I've been making some edits, starting with the summary of ACoK, which had some glaring errors (it had Amory Lorch, and not Gregor Clegane, taking Arya to Harrenhal, for instance), and adding a few pages here and there for (mostly) secondary and tertiary characters. It's a bit more challenging than I expected, but also kind of fun. 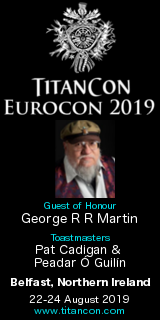 I'll let the people that know the books better than I do (who are many) handle the complicated and intricate stuff such as genealogies and histories, but I should be able to contribute quite a bit in turning links from red to blue for the Dareons and Hot Pies of Westeros and beyond. I can't speak for others, but I think it would be very beneficial to have some stylistic guidelines for things such as character pages. While I have no qualms whatsoever about fixing mistakes or adding details to someone else's page, I don't want to step on others' toes by adjusting otherwise completely acceptable articles for stylistic choices that are basically my own. At the same time, I'd like to see things kept as consistent as possible. "Dareon was an apprentice singer in the Reach, before being caught in bed with a daughter of Lord Matthis Rowan." "He is raised to a man of the Night's Watch at the same time as Jon, named to the Stewards, and sent to Eastwatch-by-the-Sea. " This to me seems to make the most sense, but others are sticking to the past tense for everything, which one could make an argument for as well. Is there any central location where discussion can be hashed out as to a preferred style? Okay, I'm going to see about creating a new sub-forum just for Wiki discussion. Perfect place to hash out these things. Thanks for the input! Ran, Thanks for setting up this subforum! This should help those of us actively working on the wiki. Ser Greguh, I started a topic where we can discuss these things in depth. Check it out! Just read this thread. So that is why there is suddenly such a lot of recent changes. I think the templates we copied are being used. Also I think that we added a reasonable amount of content. Just to note some work going on in the background, Evrach and I are going to look into setting up the Wiki of Ice and Fire and La Garde de Nuit as inter-language wikis (i.e. the Jaime Lannister article in AWoIaF will offer a link to the french version, pointing to LGdN, and vice versa). Their wiki is much more complete at this time, of course, but the hope is that through this initiative users of both wikis will become more familiar with what's out there in the other language and, perhaps, be inspired to create articles to match one another more completely. Another thing about AWOIAF. I think more references could be added in articles, at least for the informations that aren't directly from the books. An example : On the "Jon Arryn" page ( http://awoiaf.westeros.org/index.php/Jon_Arryn ), it is said that Jon Arryn is born in 225AL. We don't have this information on La Garde de Nuit. It's probably right, so I wanna add it on our wiki, but no way to know from where this information comes from. Is this a calculation ? an info given by GRRM in an interview ? etc... without any source, I can't take it into account. Do you understand my point ? I know something about SQL but what is the query that is requered and what are the tables? About Jon Arryn, I seem to have added his birth year myself. I did a search in the books and found that Jon Arryn was 20 years older then Hoster Tully. This is in chapter 49 (Catelyn) of A Clash of Kings. I'll look again for the birth year of Hoster Tully. But you are right we need the reference. Does this mean write a brand new article with the same info or just translate an article from the other language to fill in a gap? If it was 19 or 21 or 23 years older than Hoster Tully, that would be well and good. But I'd be very cautious about taking a round number like 20 (or 50 or 100 or 1,000) too literally. Perhaps an approximation such as 'in his mid-seventies' (or whatever) would be preferable, in the absence of more definitive references. Either! Someone could start up their own article, or if someone feels sufficiently capable, they could just translate the French article. That's not only allowed under the license terms, it's encouraged. :) Obviously, there may be ways in which we differ in organizing the articles, but still, a translation of an article would be a good start. I realise that it is possible that a number is not exact meant but as we don't know that I would like to propose that we take what we know. And is this case we know Catelyn said twenty. So if there are no words that point to an estimation then we can use the number until there is a reference that the number is not exact mend. I'd say in situations like this sticking 'c.' or 'ca.' (whichever is more encyclopedic), in front of the year is the best option to go for. Maybe it is my command of English but I cannot see what in her text would suggest that Catelyn did not mean 20. George has largely kept such reckonings inexact. There's nothing to say "twenty years" is an exact figure, as opposed to a rough rounding of a figure that could be anywhere from, say, seventeen to twenty-three. So I agree with the suggestion that it should be noted as circa 20 years, or about 20 years, rather than making it seem that we're sure the difference in age is precisely 20 years. All right then, when I have some spare time (hahaha), I'll have a look around the French site. Inter-wiki link are ready from our side. In fact, in the MySQL table, you have to make a link between a 2 letter code & an URL. I don't know exactly where, It's La Garde de Nuit's webmaster that managed to add it. The first link is on : http://www.lagardedenuit.com/wiki/index.ph...le=Eddard_Stark , in the box "autres langues" on the left.